If you’re stressed about making a call to the ATO, then these 7 steps will help. 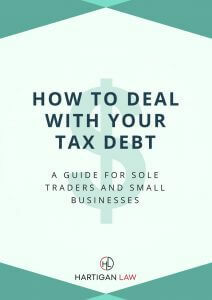 As a tax disputes expert, I spend a lot of time on the phone to the ATO, sorting out problems for my clients. I follow these steps for every phone call I make – and you should too. The ATO has many different phone numbers. The right one to call depends on what you need to speak to them about. Calling through to the right area first will get you off to a good start. It’s frustrating to spend 10-20 minutes explaining your situation to someone who can’t help and has to transfer you to another team. This means you will have to explain everything all over again and you may miss important details the second time around. If you’ve received a letter from the ATO that you want to talk to them about, then call the number on the letter. If you’re not calling about any particular ATO correspondence, then carefully look at the options on the ATO’s contact page. Use this to work out which area you need to call. For example, if you need to discuss a debt, then it’s best to call one of the numbers listed under ‘Debt and Lodgment’, rather than the phone number for self-help. Finally, make sure that the number you are calling is actually an ATO number. If you have received a voicemail asking you to call the ATO – check that the number is legitimate. Some scammers will call and pretend to be from the ATO, and then ask you to pay your ‘tax debt’ in iTunes or other gift cards. Be alert and don’t get scammed. Before the ATO can speak to you over the phone, they will need to have proof that you are who you say you are. You will be asked questions to prove your identity.The questions vary and are constantly being changed. If you can’t pass the ATO’s proof of identity test, they can’t speak to you and you will have to call back again. Make sure you have a plan before you call the ATO. What do you want the call to achieve? For example, if you are asking for a remission of the general interest charge on your account, then write down the reasons that you think support your request. Write down the dates of events, in the order they happened. These notes will help you to clearly explain your situation and not get overwhelmed. Be aware that you may not get what you want during the phone call. You may be asked to put your request in writing. If this happens, you should speak to a tax disputes expert to make sure you give yourself the best chance of success. Unless you are calling a specific person (e.g. an auditor or case manager), the person who answers your call will not know anything about your tax situation. They are starting fresh, and relying on you and the system to tell them what they need to know. They may need to put you on hold to review the file notes. Don’t be frustrated by this. Remember that the call centre operators answer hundreds of calls a week. Be patient and polite – a good attitude will help you to get through your call successfully. If the ATO officer says something that makes you uncomfortable, tell them you need time to think about it and call back later. For example, I have had people call me and say they agreed to a payment plan they couldn’t afford because they felt pressured. Suddenly, they’ve agreed to pay $1000 a week, even though they could only afford $200 a week. If you’re not getting anywhere with your call, then tell the officer that you need to call back later. Hang up and try again. Alternatively, you may want to ask for help from a tax disputes expert who can make the call for you. Take notes of your conversation with the ATO. Write the date, time and the number you called at the top of the page. Write down the name of the person you spoke to. This way, you can make sure that there have been no misunderstandings or miscommunications. At the end of your call, ask for the Reference Number for the call and write this in your notes. ATO collecting debt over the phone – is it a scam? Division 353 Notices – how do they work?